Many of the most visually audacious and immersive exhibitions in NYC turn into selfie traps. The Rubin’s “Power of Intention: Reinventing the (Prayer) Wheel” is not that kind of show—or, at least, it asks you to be fully present and mindful instead of Instagramming. 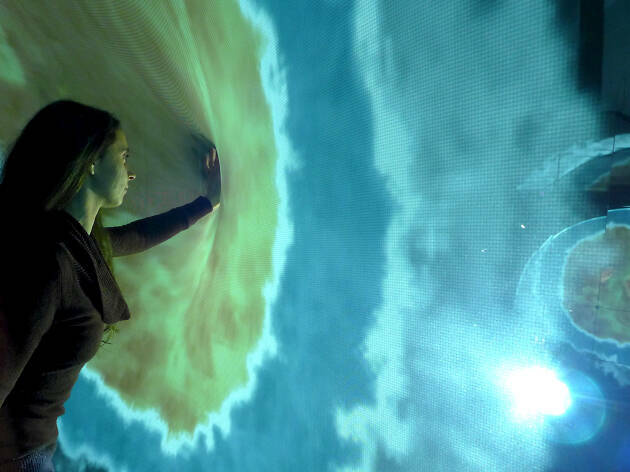 Of the numerous works of interactive contemporary art inspired by Tibetan Buddhist practices, we suggest checking out Scenocosme’s “Metamorphy” (pictured): When you touch the piece’s fabric membrane, it conjures up a “storm” using motion-sensing camera projection. The installation will make you think about how your energy affects the karma of the world.